Beautiful Surf City, USA is where you want to be and you are on your way. You’re driving your brand new Harley Davidson motorcycle along the Pacific Coast Highway and it’s a gorgeous day. Nothing can stand in your way. Or can it? Remember, the highways of California can be dangerous even for the most skilled driver. Let’s say you hit a pothole in the road and misalign your front wheel. It isn’t likely that you are carrying the proper tools to correct this unfortunate problem. What are you going to do? You need professional assistance. You need to call Mighty Towing Huntington Beach. Mighty Towing has the skill and experience to assist you in such a roadside emergency. Motorcycles can be towed in the same manner as any automobile by using a flatbed tow truck. Flatbed tow trucks are the best option for motorcycles because flatbed towing it is the safest way to transport a disabled motorcycle. Mighty Towing gives it customers the choice of flatbed towing because our aim is to give you peace of mind and guaranteed satisfaction with your emergency roadside assistance needs. Service that is 24/7 – we have a fleet of trucks that work non-stop to handle all of your towing needs. Professional, Courteous Service – we are always there for you to provide you service with a smile. Our employees are always professional and courteous. 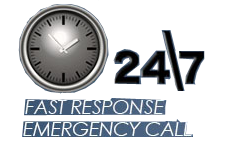 30 Minute Estimate Time of Arrival – we will ensure prompt service so that you are not left to your own defenses. We have your back. Honest Pricing – you will always know that our prices are competitive in the industry and you will not overpay for services.